When you think of weather and climate, it is probably about how it will impact your clothes choice for the day, your plans for the weekend, or the potential need for an umbrella. A question to ask yourself: Is the weather forecast always perfect, or is there uncertainty in the forecaster’s prediction? A classic halibut schooner; the IPHC has been managing the halibut fishery since 1923. Photo credit: Dave Jackson. Just like you, fisheries scientists also think about weather and climate, but rather than clothes choices, they are usually considering the potential response of fish and ecosystems to global climate change or periodic weather fluctuations, like El Niño and the Pacific Decadal Oscillation. Just as weather forecasts have a level of uncertainty, so too do fisheries forecasts. To better understand the uncertainty of fish population responses to weather and climate fluctuations, fisheries scientists are considering methods used by climate researchers that study and incorporate uncertainty into their forecasts. For instance, hurricane forecasters frequently rely on ensemble modelling and base their predictions on a collection of plausible models or model conditions rather than basing their predictions on a single model. The International Pacific Halibut Commission (IPHC) now uses this collection of models approach with its annual stock assessment when providing scientific advice for U.S. and Canadian halibut catch limits. 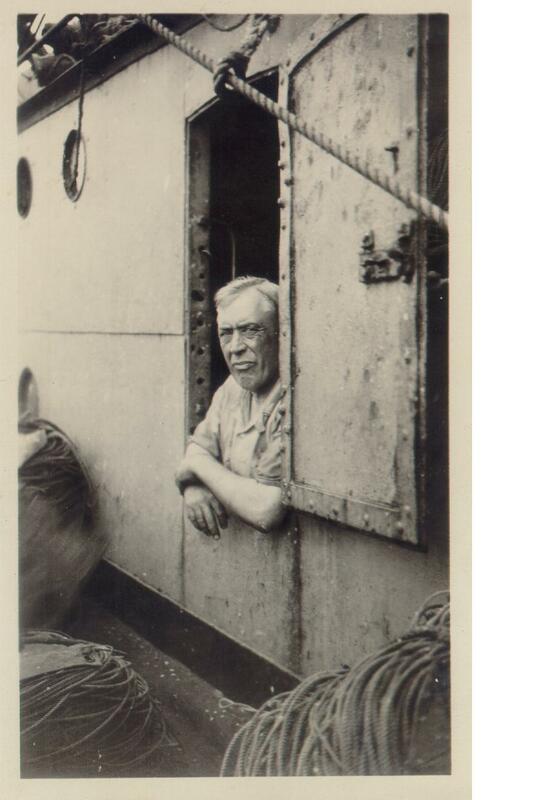 The IPHC has been a historical leader in developing and testing new scientific methods for stock assessment and fisheries management, from William Thompson’s early work on fishery yield in the 1930s, through migratory catch-at-age models and an extensive tagging program in the early 2000s. This has been in large part out of necessity – Pacific halibut have a complex life history and a complex fishery that create formidable modelling challenges. 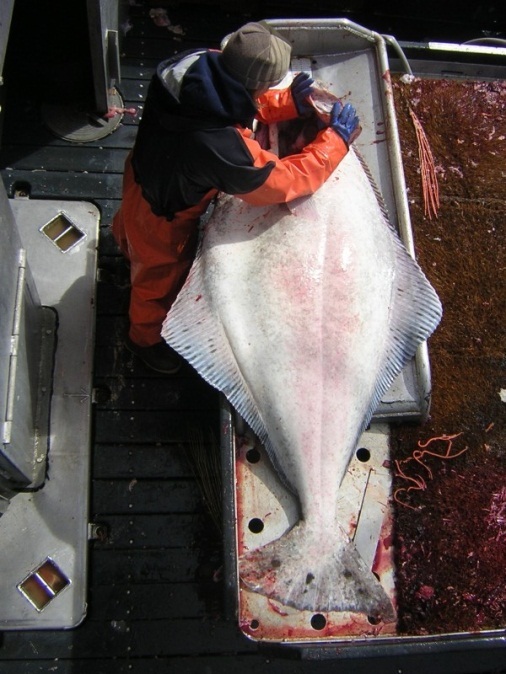 The complexities of Pacific halibut life history include high rates of geographic dispersal, seasonal spawning migrations, extensive variability in size-at-age among individuals, sexes, cohorts, and time periods, and periodic recruitment success correlated with environmental conditions. The complex fishery involves commercial, subsistence users, a significant recreational sector, as well as non-target fisheries that capture halibut in the process of harvesting other species. Extracting otoliths on the IPHC’s annual setline survey, sampling over a thousand stations from California to the Northern Bering Sea. Photo credit: Rob Ames. 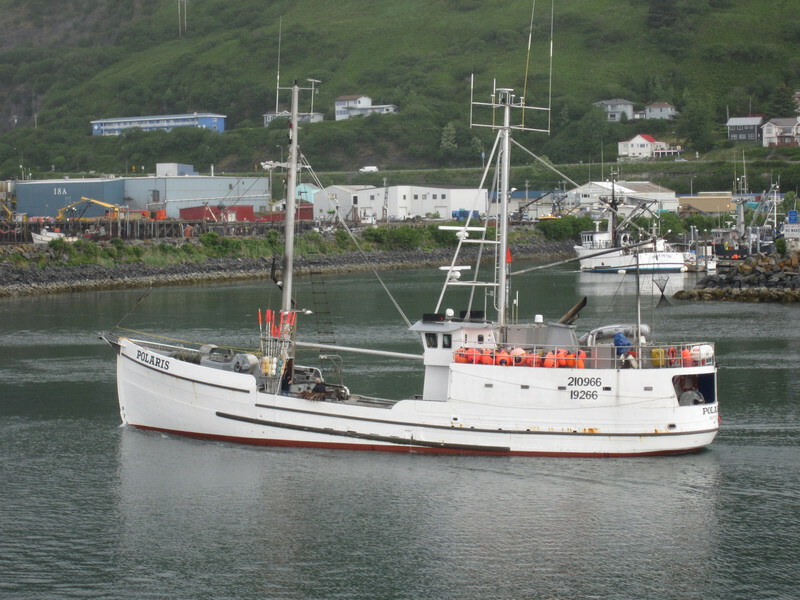 To address the complexity of the fish and fishery, the IPHC conducts an annual standardized fishery-independent longline survey, and samples the commercial fishery catch in most major ports of delivery. These data provide clear information on stock and biological trends, but they still do not tell exactly how many halibut are swimming in the Pacific Ocean. To estimate population sizes, stock assessments are needed, which means fitting models to the available data. The IPHC has done this each year since the 1970s, and after thirty years of hard labor, there is still no perfect Pacific halibut stock assessment model. Each year refinements have been made to address shortcomings of the previous analyses. And each year new issues appear, creating instability in stock size estimates, and ultimately in the stakeholders’ confidence that the science is reliable. 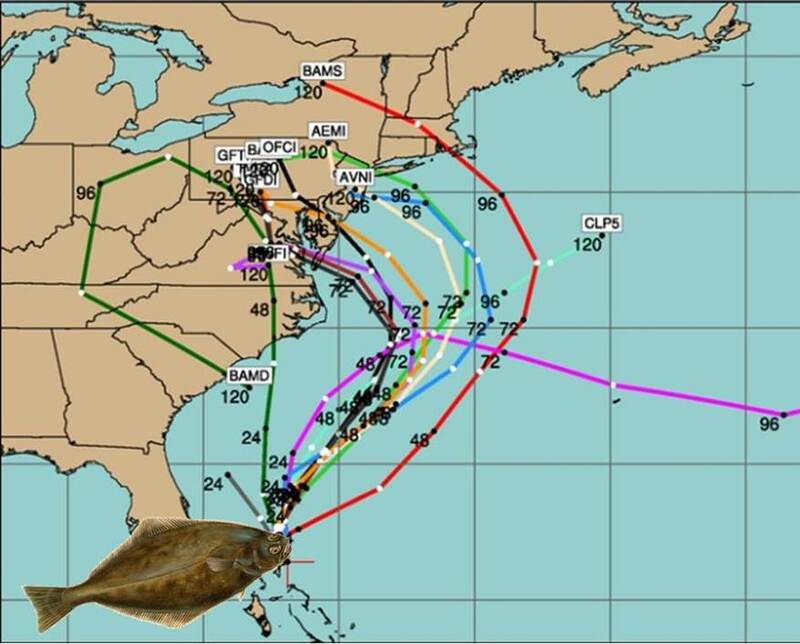 This is where fisheries scientists have something to learn from hurricane forecasters. 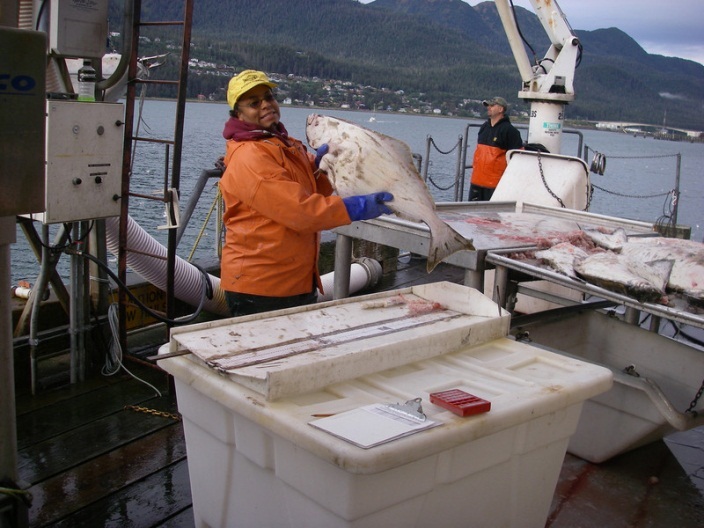 IPHC Sampler Michele Drummond sampling the commercial fishery catch in the port of Juneau, Alaska. Photo credit: Lara Erikson. The public easily appreciates the risks associated with where and when a hurricane will strike land. A simple prediction is not sufficient for cities to plan response and evacuations; this requires an assessment of both likely outcomes as well as a clear expression of the uncertainty around those predictions. Hurricane forecasters have therefore employed ensemble modelling to include uncertainty in model structure, parameter values, initial conditions and other factors not easily captured by a single “best” prediction model. Think of predicting a halibut population like predicting the location of landfall for a hurricane. Multiple models help account for uncertainty and provide guidance. To break the paradigm of endlessly searching for the single best fishery stock assessment model, we at the IPHC needed only to admit that it doesn’t exist. Annual halibut assessments now include a growing ensemble of models – different hypotheses about how the world works, each plausible given the available data, but potentially yielding different estimates of stock size. These alternate models are integrated in a risk assessment decision table containing a collection of metrics representing conservation and fishery risks associated with different future catch levels. It will take more than some fancy new method to convince this fisherman. Photo credit: IPHC archive. But what happens when you admit you don’t know exactly how many fish are out there? The response to the IPHC’s ensemble approach has been very positive: scientists understand that it removes some of the subjectivity from the annual stock assessment, and stakeholders recognize that the uncertainty is now better represented – they have known all along that each year’s single “best” assessment model wasn’t perfect! After 91 years, the IPHC is still finding new tools to address old questions, and our stakeholders have more realistic information about the stock, and our uncertainty in it, than ever before. To learn more about the International Pacific Halibut Commission, please visit http://www.iphc.int, http://www.facebook.com/InternationalPacificHalibutCommission, and http://www.twitter.com/IPHCinfo. To contact the author email ian@iphc.int. 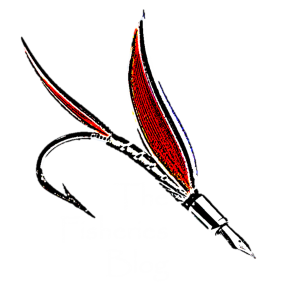 Please follow The Fisheries Blog on Facebook and on Twitter (@FisheriesBlog). Also, enter your email on the top left section of this page to receive an email of our weekly article on Monday mornings. Clark, W. G., and S. R. Hare. 2002. Effects of Climate and Stock Size on Recruitment and Growth of Pacific Halibut. North American Journal of Fisheries Management 22:852-862. Deriso, R. B., T. J. Quinn, II, and P. R. Neal. 1985. Catch-age analysis with auxiliary information. Canadian Journal of Fisheries and Aquatic Sciences 42:815-824. Hamill, T. M., M. J. Brennan, B. Brown, M. DeMaria, E. N. Rappaport, and Z. Toth. 2012. NOAA’s Future Ensemble-Based Hurricane Forecast Products. Bulletin of the American Meteorological Society 93:209-220. Patterson, K., R. Cook, C. Darby, S. Gavaris, L. Kell, P. Lewy, B. Mesnil, A. E. Punt, V. Restrepo, D. W. Skagen, and G. Stefansson. 2001. Estimating uncertainty in fish stock assessment and forecasting. Fish and Fisheries 2:125-157. Stewart, I. J., and S. J. D. Martell. 2013. A historical review of selectivity approaches and retrospective patterns in the Pacific halibut stock assessment. Fisheries Research. Stewart, I. J., and S. Martell. 2014. Assessment of the Pacific halibut stock at the end of 2013. In IPHC Report of Assessment and Research Activities 2013. p. 169-196. Thompson, W. F., and F. H. Bell. 1934. Biological statistics of the Pacific halibut fishery (2) Effect of changes in intensity upon total yield and yield per unit of gear. In International Pacific Halibut Commission Scientific Report No. 8. 47 p.
Webster, R. A., W. G. Clark, B. M. Leaman, and J. E. Forsberg. 2013. Pacific halibut on the move: a renewed understanding of adult migration from a coastwide tagging study. Canadian Journal of Fisheries and Aquatic Sciences 70 (4):642-653. As a layperson, I appreciated the clarity with which you explain the modeling for the difficulty-of-prediction in fisheries science. The visuals and the touch of humor were fun, too.